according to rumor, this famous picture of m@ isn’t of the last dauphine at all…it’s actually a likeness of Madame Elizabeth, Louis XVIs younger sister, princess of France. But go on, look close. The face doesn’t really look like ‘Toinette anyhow? What do you think? M@ or Madame Elizabeth? Image | This entry was posted in court and social and tagged france, Louis XVI, Louis XVI of France, Louis XVI sister, Madame Elisabeth, marie Antoinette, paris, Princesse Elisabeth, Versailles. Bookmark the permalink. 7 Responses to the white dauphine? I’m going to give you a break on the citation! i don’t think it’s her either! 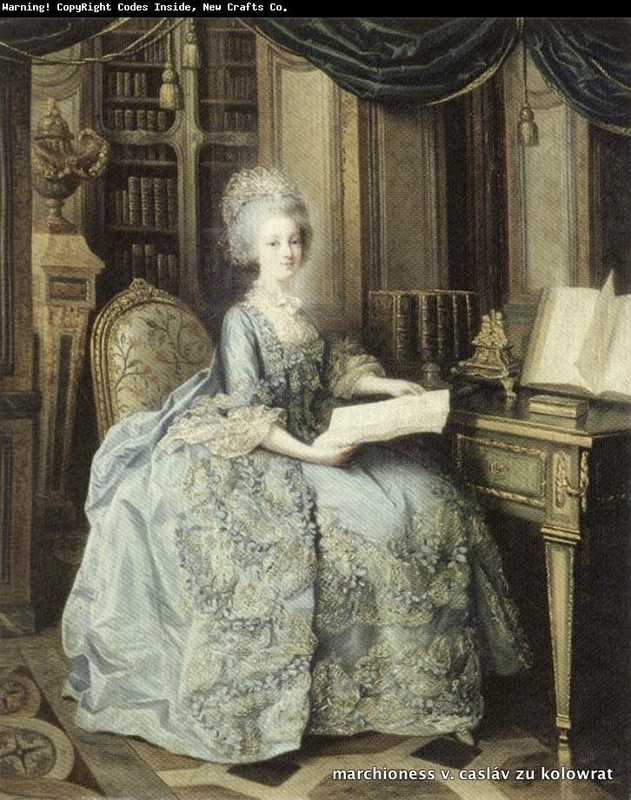 not that i am a arts critic to determine a photo but I am certain its Madame Elizabeth in her library at the maison elizabeth up ave de paris in Versailles, my town of 10 yrs and visited both places chateau and house. The house now is no where what it once was, but pictures do tell there of what it was. You are AWESOME! Merci buckets! Not only have you pin-pointed the painting down to the geographical cross street, you’ve proven that I didn’t dream that article that I read saying it was Mme. E! Let’s take a look at some more pics of la Princesse Elizabeth! Versailles is royal ,Paris is republican…..